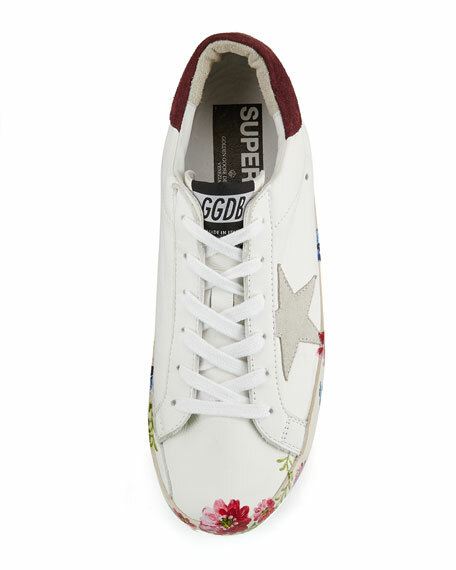 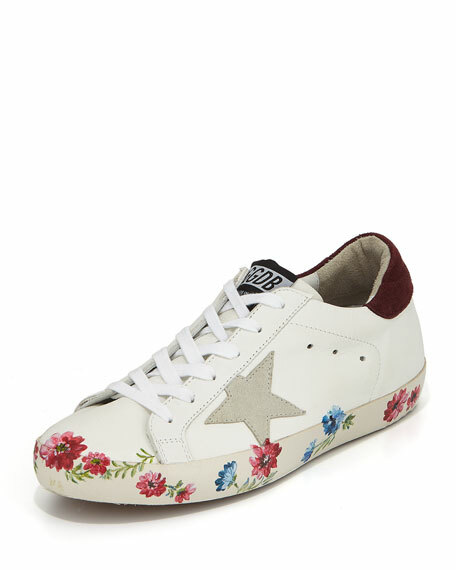 Golden Goose leather low-top sneaker with suede star at side. 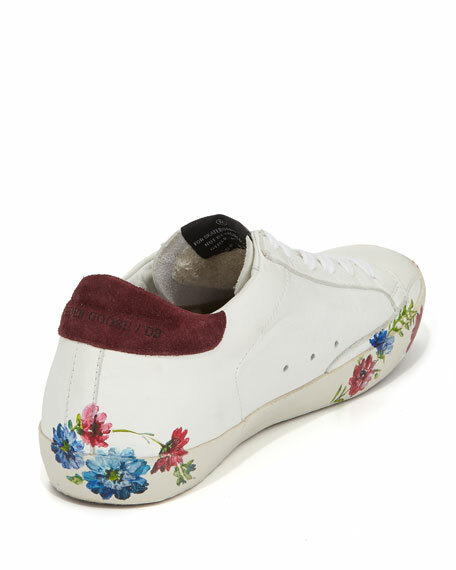 Hand-painted floral print along sole. 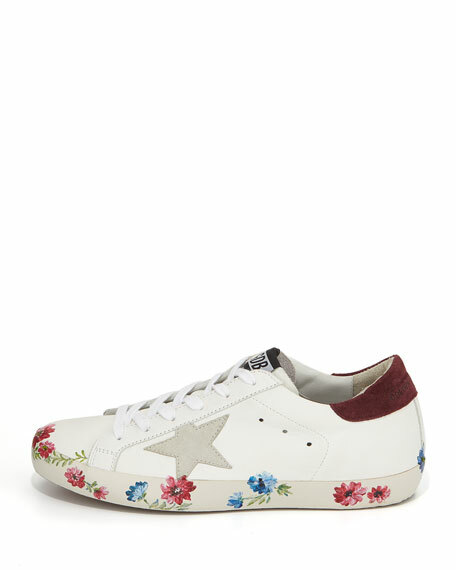 For in-store inquiries, use sku #2380141.